Oh my! 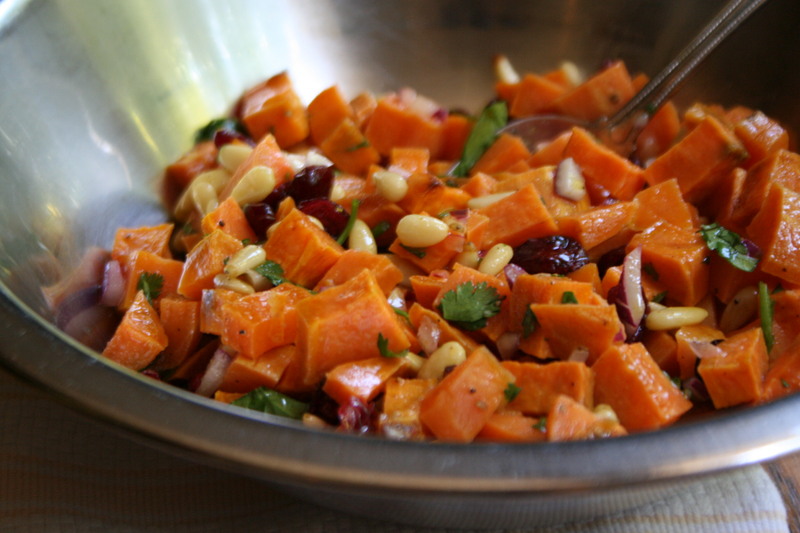 You are gonna love this sweet potato salad. Colorful, tasty, and filling. I created it from memory based on a dish my friend Lucia had made a couple of years ago as a side. I served it over a bed over lettuce to give it a little more dimension. For variations, I think you could sub chopped pecans for the pine nuts or scallions for the red onions. To add more protein, I think drained black beans would be a tasty addition too! In a large mixing bowl, toss the potatoes with the olive oil and cumin. Season with salt and pepper to taste. On a baking sheet, even spread the potatoes in a single layer. Bake until the potatoes are cooked but still firm, about 30 to 35 minutes. Refrigerate to cool. Place the cooled sweet potatoes in a large mixing bowl. Add the red onion, cranberries, and pine nuts and toss to combine. Add the lime juice and fresh cilantro and toss to combine. Season with salt and pepper to taste. 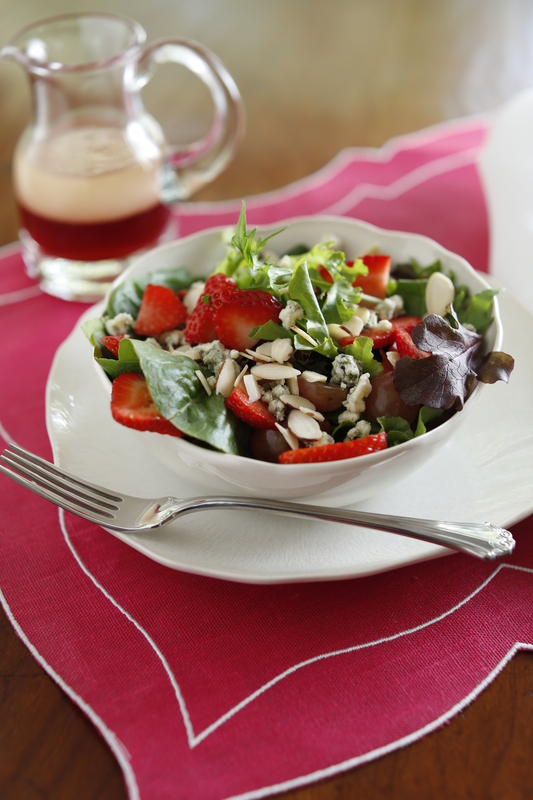 Serve over a bed of lettuce as a main or as a side salad. Cooking Tip: I like to line my baking sheets with parchment paper. The paper liner prevents sticking and helps make clean-up easier. Variation: Chopped pecans would be a tasty substitute for the pine nuts.